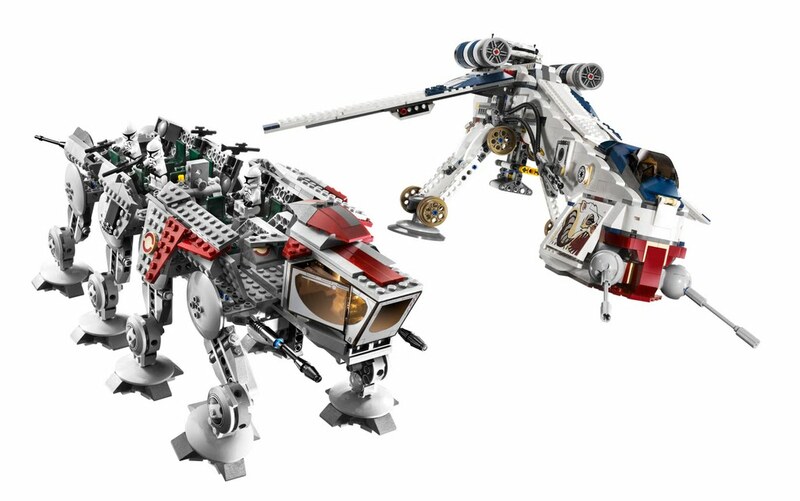 Two incredible Star Wars vehicles in one! Flying through the skies of hostile planets, the Republic LAAT/c (Low Altitude Assault Transport/carrier) Dropship swoops down and deploys the AT-OT (All Terrain Open Transport) troop carrier for attacks on Separatist strongholds. Dropship features an opening cockpit, rotating front and rear cannons, auto-firing missiles and armament bay, and a fold-away handle on top. AT-OT features poseable legs, rotating cannons, crew compartment with weapon racks, and folding cockpit and boarding ramp. Drop ship automatically locks onto walker, then releases it with the push of a switch! 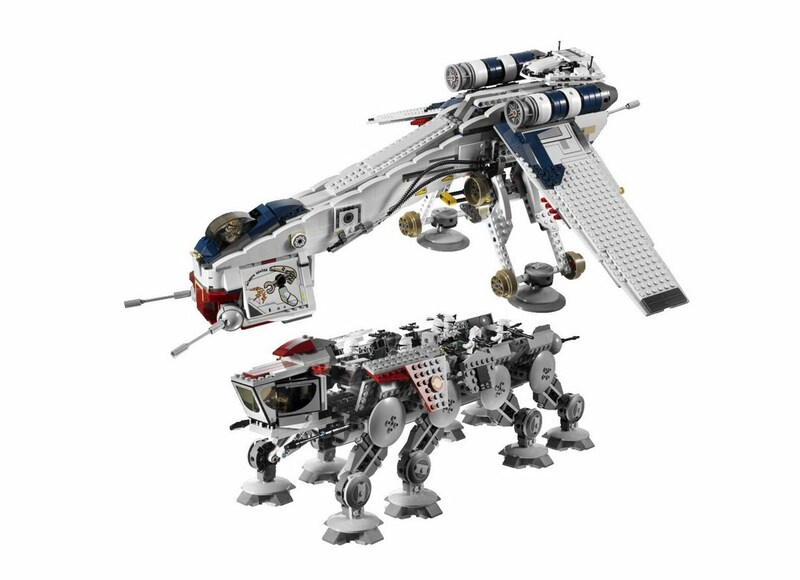 Also works with #7675 AT-TE Walker. Includes 2 clone pilots and 6 clone troopers. 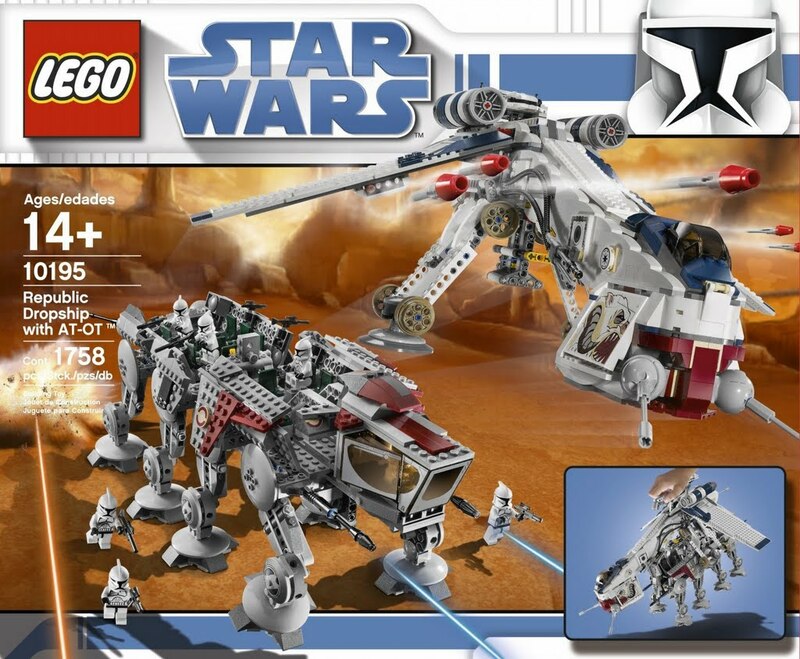 Includes 2 Clone Pilot and 6 Clone Trooper minifigures! Two incredible vehicles in one! Republic Dropship features a fold-away handle on top! Republic Dropship automatically locks onto AT-OT Walker and releases with the push of a switch! Dropship features an opening cockpit! Dropship includes flick-fire missiles, as well as rotating front and rear cannons! Dropship measures over 18'? (46cm) long and has a wingspan of over 21'? (53cm)! Customize your Dropship with alternate stickers! AT-OT Walker has 8 poseable legs! AT-OT Walker features cockpit that really opens! 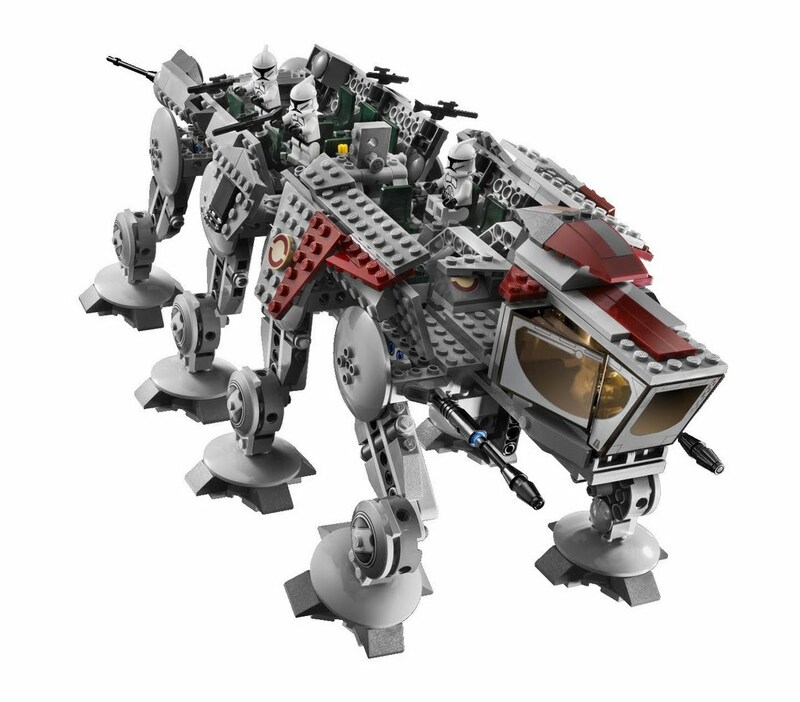 Assemble your forces aboard the AT-OT Walker that seats up to 16 minifigures! AT-OT Walker measures over 16'? (40cm) long and 5'? (13cm) wide! AT-OT Walker features a fold out boarding ramp! 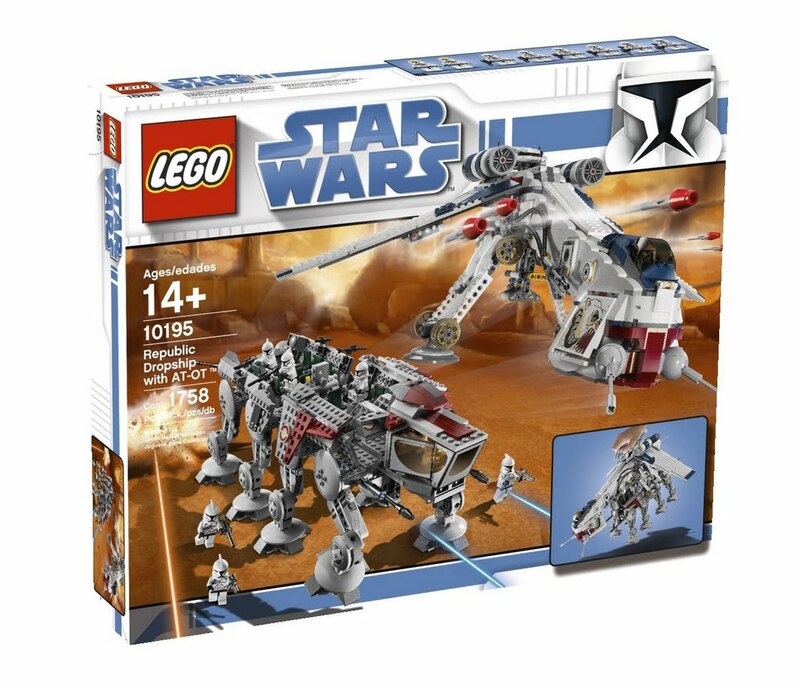 Republic Dropship also combines with #7675 AT-TE Walker!